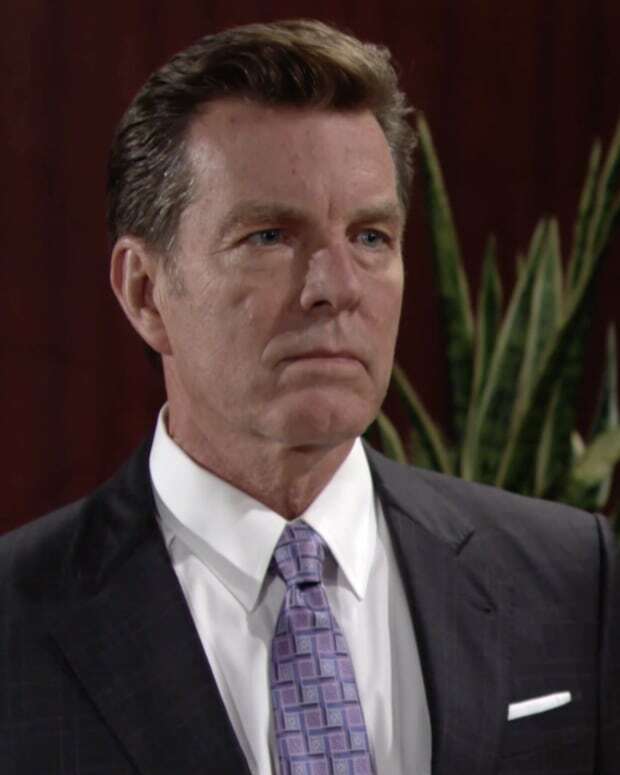 Here&apos;s a quick hit from today&apos;s The Young and the Restless. Kyle runs into the elusive Lola at Crimson Lights. He&apos;s trying to chit chat with her, but she&apos;s all up into scribbling in her notebook. She pauses, looks up, and apologizes for being out of the loop. Kyle reassures her she will be a superstar. Ana and Fen are trying to write a song. She tells Fen to draw off his own experience. Summer pops in to catch up with Fen. While he yammers on, Ana watches the scene unfold. She wants to work, Fen wants to play. Summer stops by Kyle and Lola&apos;s table to say hi. Kyle and Lola make a dinner date at the GCAC. I wonder who else will pop in? Yup. Summer and Fen. Instead of dinner, they opt for shots and making out. Things quickly get awkward with the quad. At the ranch, Katie asks Victoria if she can play with her friend. She runs off and plays hide and seek with a shadow. Victor and Victoria talk about Newman business. She explains she was caught off guard by an interviewer who only wanted to talk about J.T. Victor encourages his daughter to keep fighting. He will stand behind her. Kerry stops by the Abbott house to talk to Jack. She admits she isn&apos;t ready to give up the idea of children . . . or Jack. He balks at the possibility being a father, but she explains her decisions don&apos;t necessarily have anything to do with him. She doesn&apos;t want to complicate things with something that may not happen. Later at Jabot, the two decide about the future of their relationship. Ana goes home and starts slamming her things around. Devon wants to know what&apos;s happening. She&apos;s pissed about Fen&apos;s attitude. He tells her he will let him go if she doesn&apos;t think he can cut it. Ana&apos;s willing to give him more time to work out his issues.